According to the American Thyroid Association (ATA) an estimated 20 million Americans have some form of thyroid disease, and most of them (60%) don’t know they have it. Thyroid disease strikes primarily women, one woman in eight can expect to develop Thyroid Disease in their lifetime. The causes of Thyroid Disease are largely unknown, but a new study from the University of Kent in the UK indicates fluoride linked to thyroid cancer: Excessive levels of Fluoride in drinking water have been linked to Hypothyroidism. There are many factors that can combine to cause hypothyroidism, fluoride is just one of the factors. Iodine deficiency is also a factor. However, people with autoimmune hypothyroid disease may be sensitive to iodine, and suffer side effects. The vast majority of people get enough iodine in their diet, thanks to table salt, most of which is fortified with iodine. 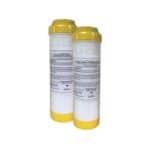 So you should speak to your doctor before deciding to avoid or take iodine. Do you need fluoride in your water? Why not kill two birds with one stone? 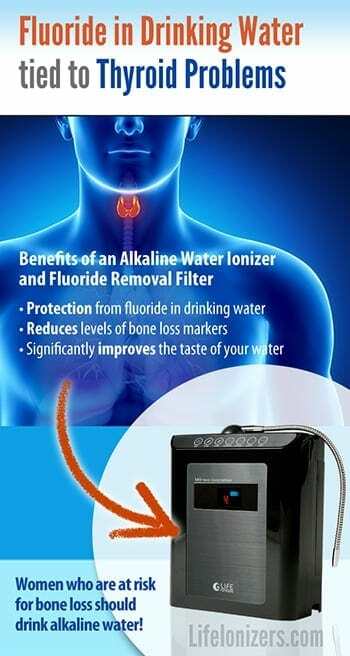 If you want fluoride out of your water, and you want to improve your health by drinking alkaline water, a LIFE Ionizer is the ideal solution. 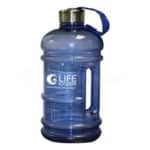 LIFE Ionizers will give you a LIFE Super Filter free with the purchase of a LIFE water ionizer, which will take care of your fluoride. 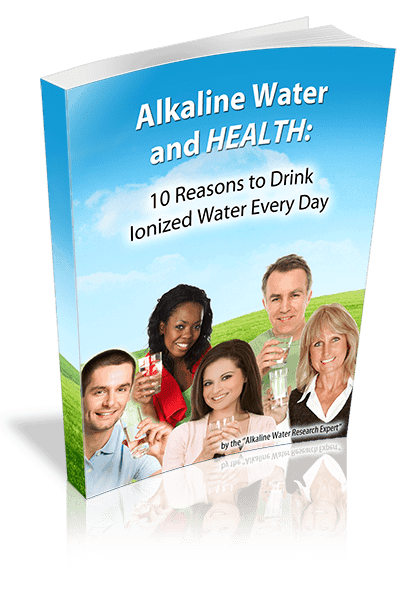 Plus, the process used by water ionizers to make alkaline water provides you with an additional layer of protection against fluoride. 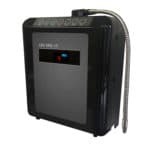 Acidic toxins like fluoride are automatically rejected into the acidic waste water stream when the machine is in operation – leaving you with healthy, fluoride-free, alkaline water. Tons of benefits. One captivating eBook.